Founded on January 13, 1913 by twenty-two collegiate women at Howard University, the sorority is a sisterhood of more than 200,000 predominantly Black, college educated women. The sorority currently has 1,000 collegiate and alumnae chapters located in the United States, England, Japan (Tokyo and Okinawa), Germany, the Virgin Islands, Bermuda, the Bahamas, Jamaica and the Republic of Korea. 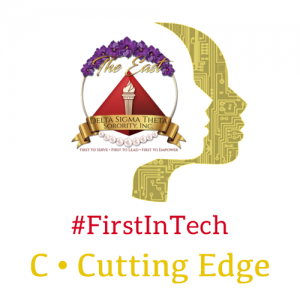 The major programs of the sorority are based upon the organization’s Five Point Programmatic Thrust. The first public act performed by the Delta Founders involved their participation in the Women’s Suffrage March in Washington D.C., March 1913. 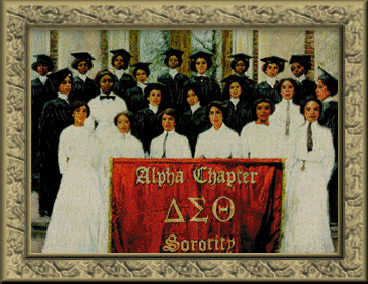 Delta Sigma Theta was incorporated in 1930. First Row: Winona Cargile Alexander, Madree Penn White, Wertie Blackwell Weaver, Vashti Turley Murphy, Ethel Cuff Black, Frederica Chase Dodd. Second Row: Osceola Macarthy Adams, Pauline Oberdorfer Minor, Edna Brown Coleman, Edith Motte Young, Marguerite Young Alexander, Naomi Sewell Richardson, Eliza P. Shippen. Third Row: Zephyr Chisom Carter, Myra Davis Hemmings, Mamie Reddy Rose, Bertha Pitts Campbell, Florence Letcher Toms, Olive Jones, Jessie McGuire Dent, Jimmie Bugg Middleton, Ethel Carr Watson. The original artwork is a life-sized painting on canvas created by artist Tarleton Blackwell.